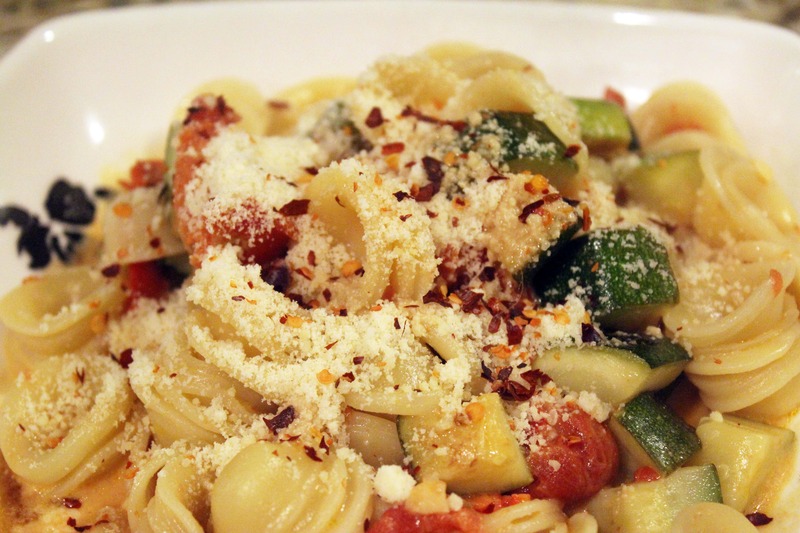 It’s a pasta for your Monday! I hope you had a great weekend. I didn’t sleep nearly enough, but I saw lots of people that I love so it was kind of worth it. I saw my uncles and grandfather, too, and that was super fun. 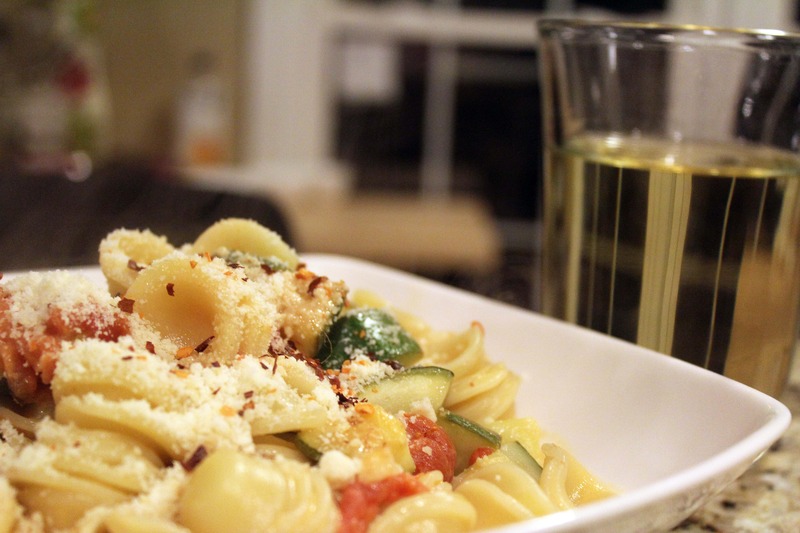 This pasta, guys. I can’t even tell you. 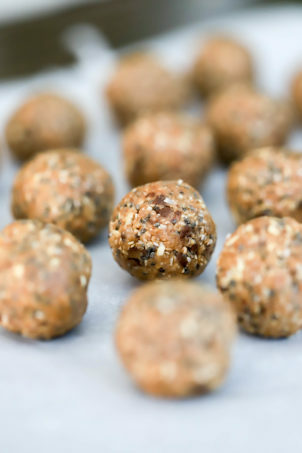 It takes 20 minutes to make, is great with ANY veggies, and has this FLAVOR that you just won’t believe. Here’s what you need, for 4 – 6 servings. My pictures reflect half of that amount. Seriously simple! First, bring a pot of water to a boil for the pasta. 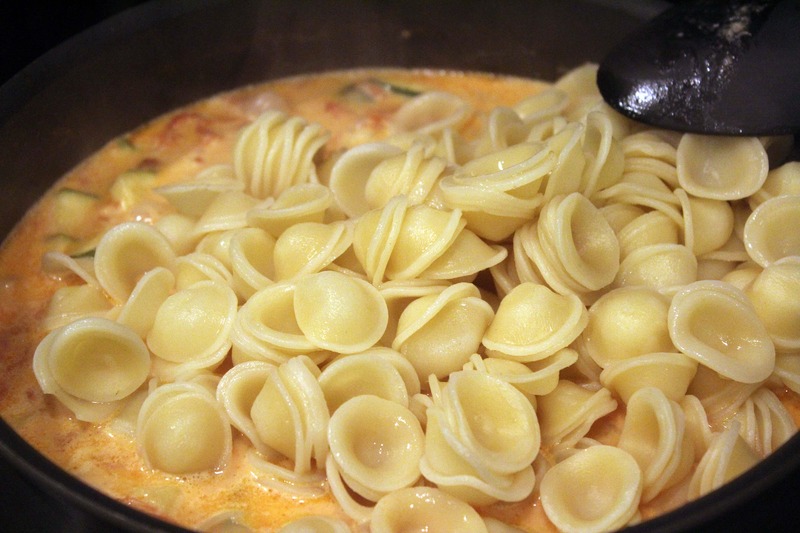 When the water boils, add 1 tablespoon of salt and the pasta. Cook the pasta according to package directions while you make the sauce. Meanwhile, heat a large pan to medium-high heat with the olive oil. Cut the zucchini into chunks. 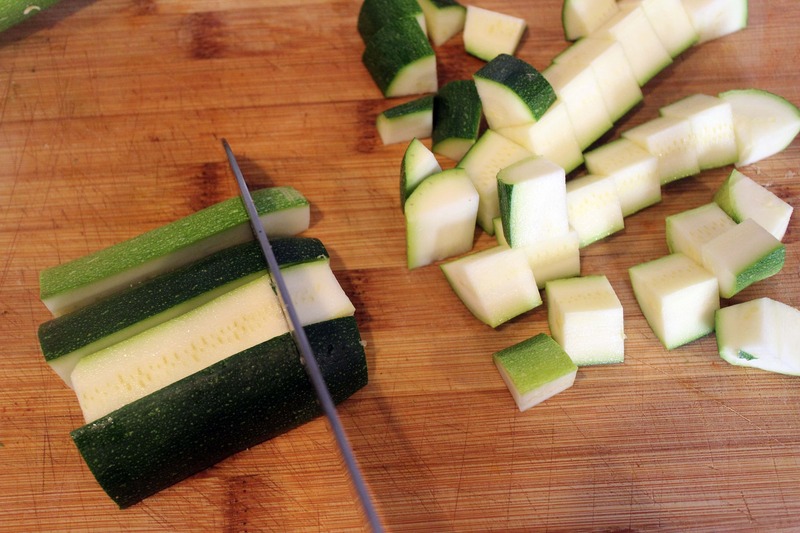 I do this by cutting the zucchini in half, then the halves in half, then cutting the strips into 1/2 inch or so chunks. 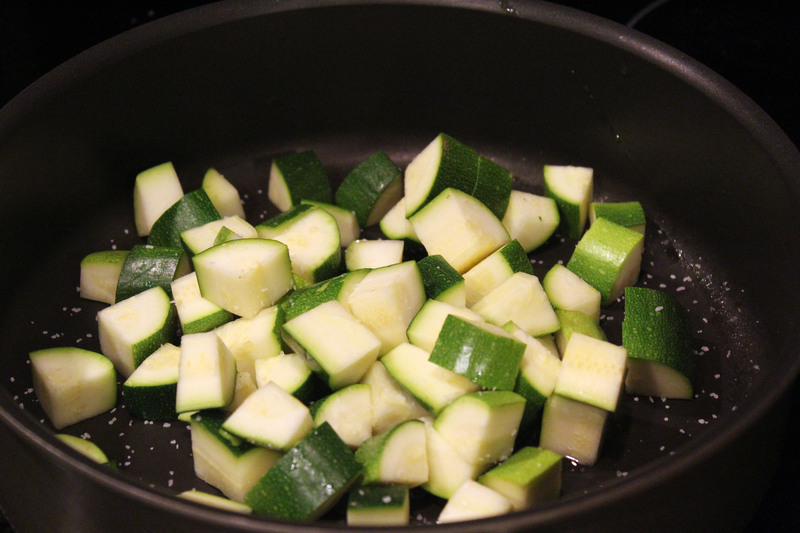 Then, add the zucchini to the pan heated with olive oil and a sprinkle of salt. 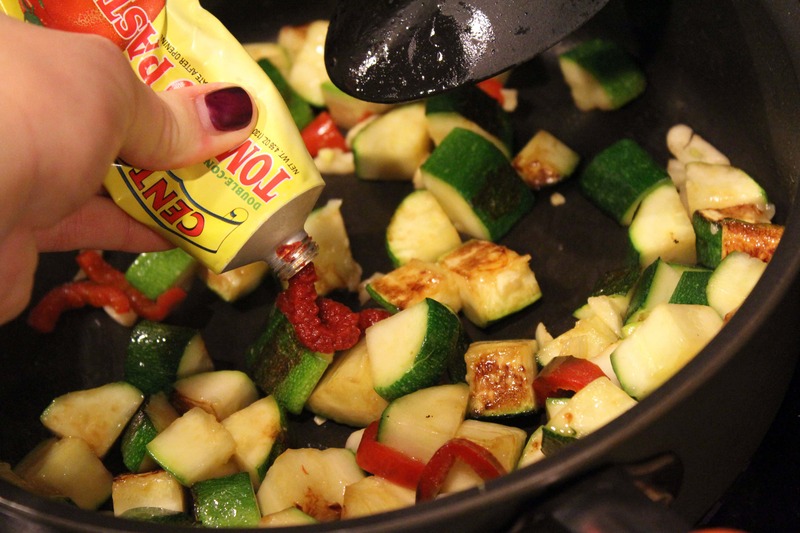 Stir the zucchini. If the pan sizzles very loudly, turn the heat down to medium. 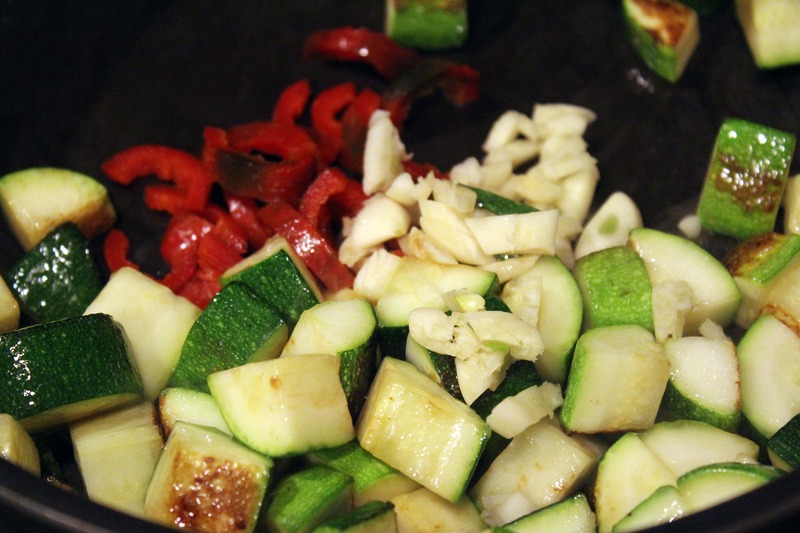 While the zucchini starts to cook, thinly slice the chili pepper, if using. Remove the seeds if you don’t like things too spicy! 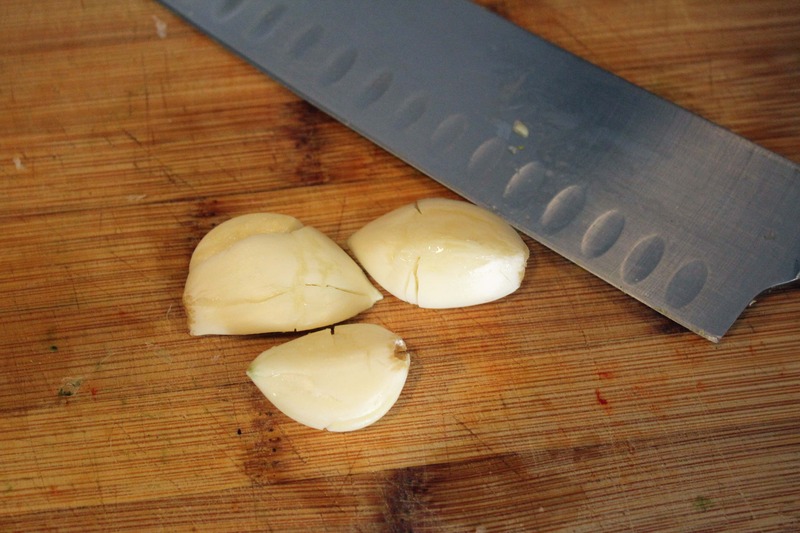 Then, use the side of your knife to crush the garlic and remove the skins. 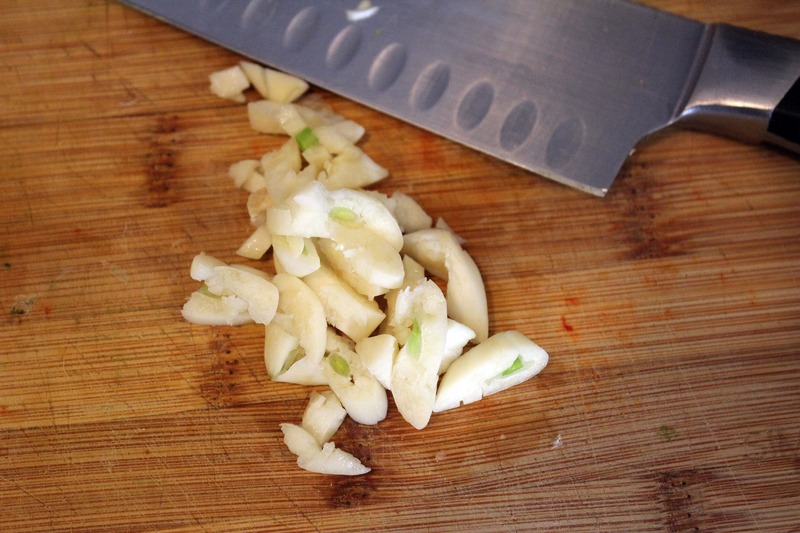 Roughly chop the garlic – the large pieces are great in this! 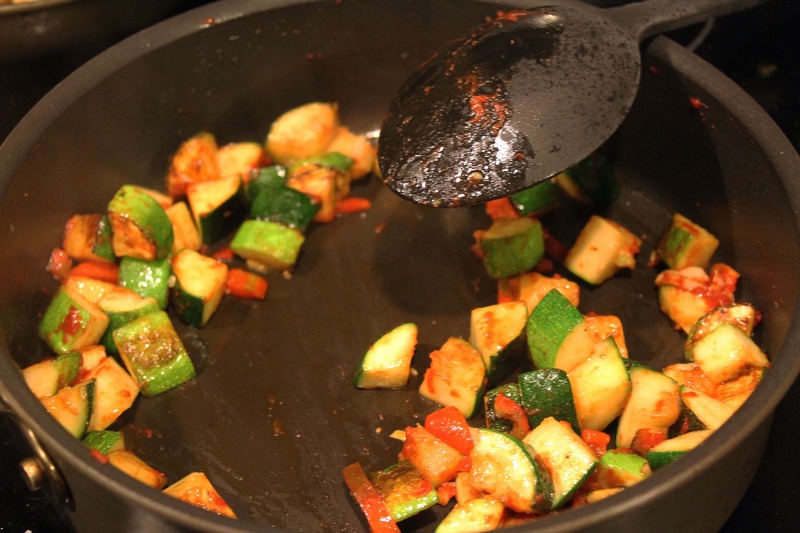 When the zucchini has just slightly softened, add the garlic and chili pepper. Stir for 2 minutes. Then, squirt in the tomato paste. Stir the tomato paste to coat the veggies. 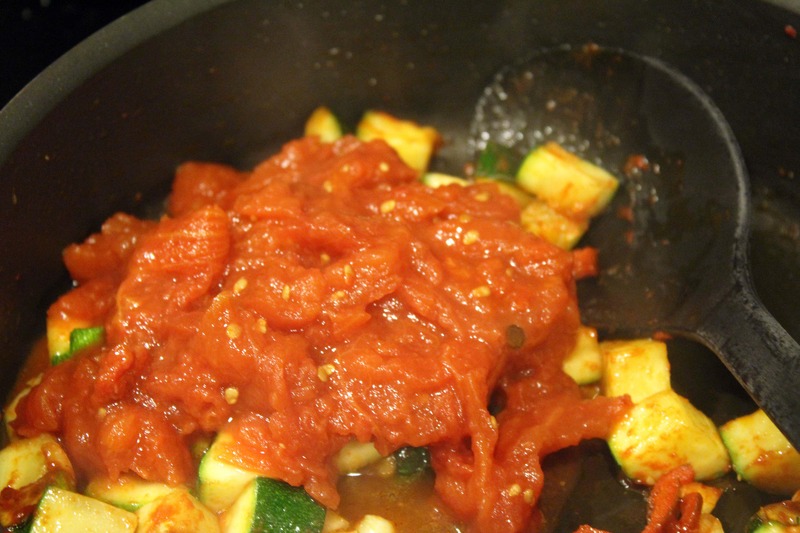 While the tomato paste is cooking, gently crush the canned tomatoes with your hands into the zucchini mixture. I like large pieces of tomatoes, but you can make them as small as you like! Now, we make the sauce using pasta water. So, we want the pasta to be halfway cooked or further when we are at this point in making the sauce. 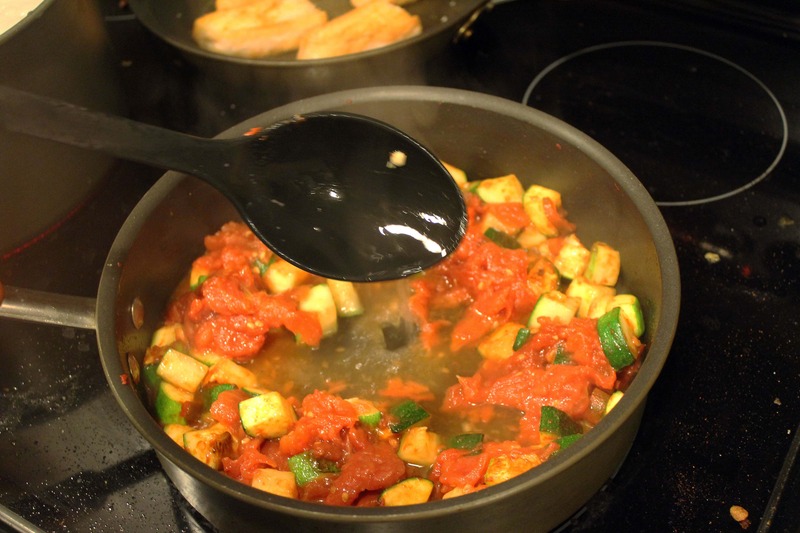 Use a large spoon or ladle to add 1/2 to 1 cup of the pasta cooking water to the zucchini mixture. Yum! 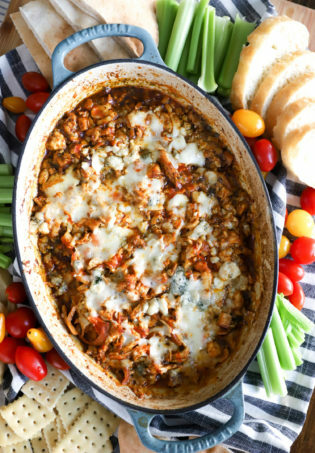 Stir it together to incorporate with the tomato paste and veggies. 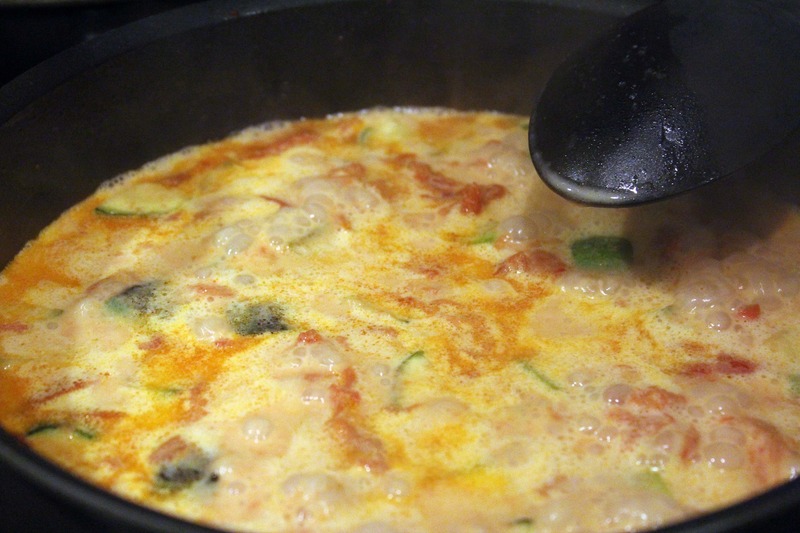 The sauce should bubble at this point – turn the heat up if you need to! Now, drain the pasta once it’s cooked. 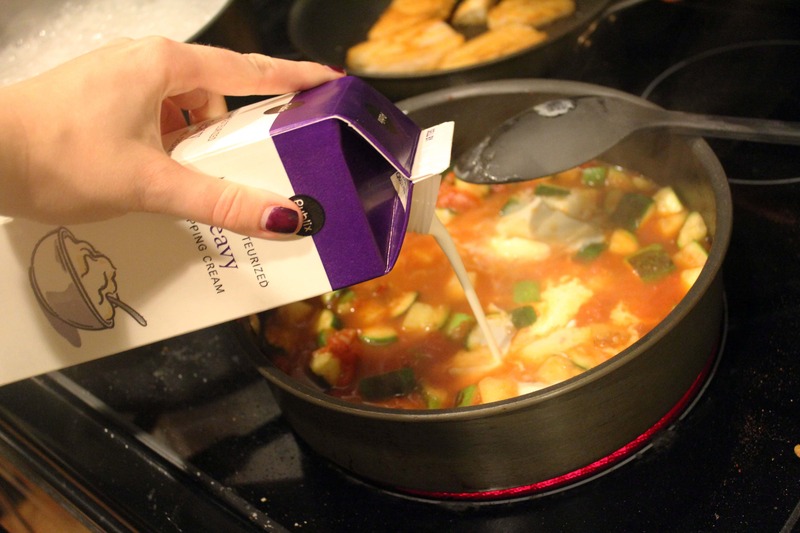 Add the cream to the sauce and stir together. Taste, and add more salt if you’d like. Let the sauce bubble and thicken for 2 or 3 minutes, until it’s reduced by about half. 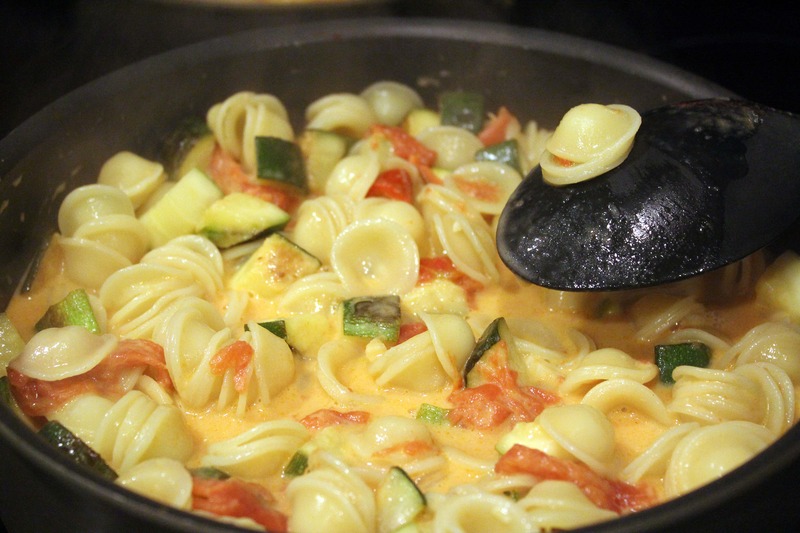 Stir the pasta into the sauce, and let everything cook together for another minute or two. 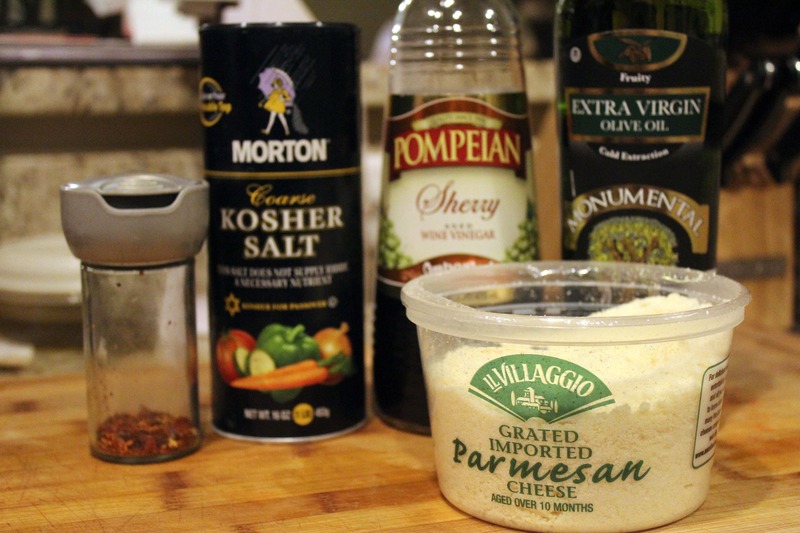 This will allow the sauce to stick to the pasta. Taste it again, too, just to be sure it has enough salt. 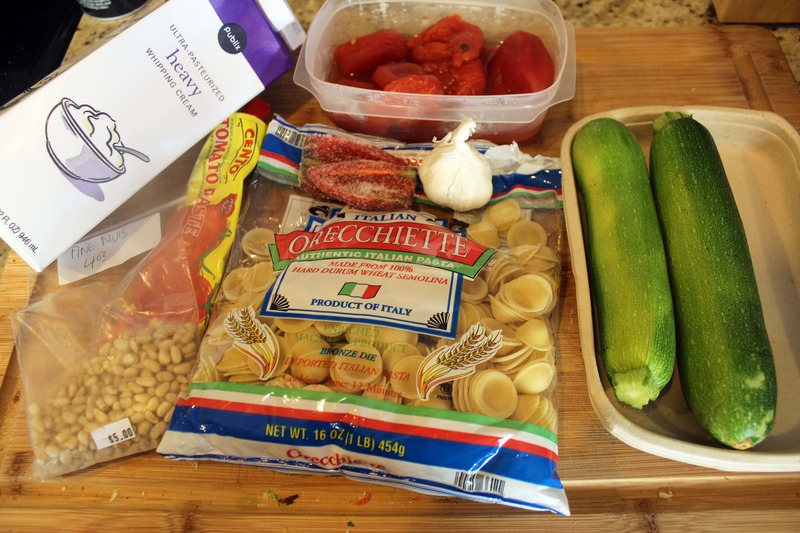 While the pasta and sauce are getting cozy, gather up any ingredients you want to use as toppings! 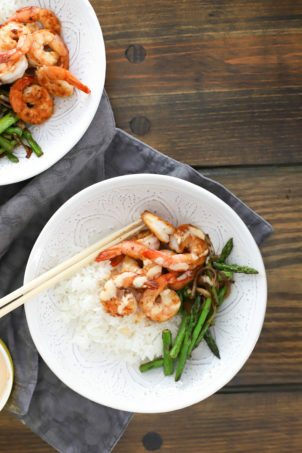 The sherry vinegar is a really fun addition to the creamy sauce. Now, we’re ready to serve! 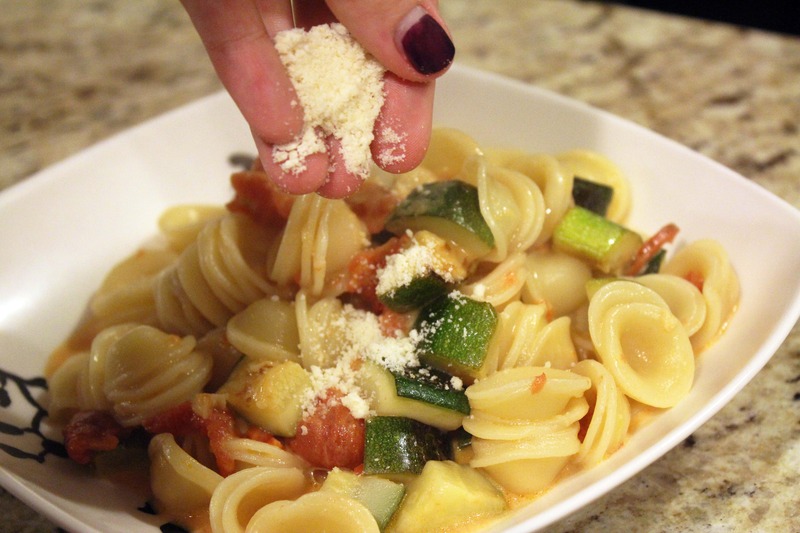 Ladle the pasta into shallow bowls and add any toppings you like. I’d recommend white wine with this, but that’s just me. Boxed is preferable. Enjoy this! 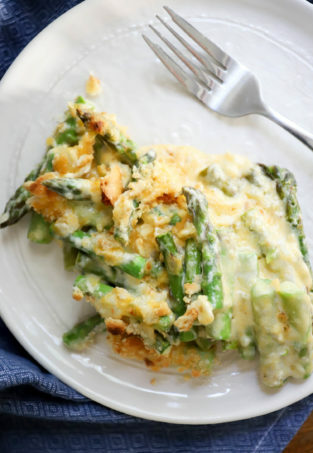 It’s really delicious and a great vegetarian weeknight dish. You’ll love it! Cool! Sounds very fun. Thanks for the note! Hello! Just wanted to stop by and let you know that I chose this as my personal favorite from last week’s Weekend Potluck. I have shared it on my page and on facebook as well. Thanks also for listing all of us hostesses, very sweet of you! 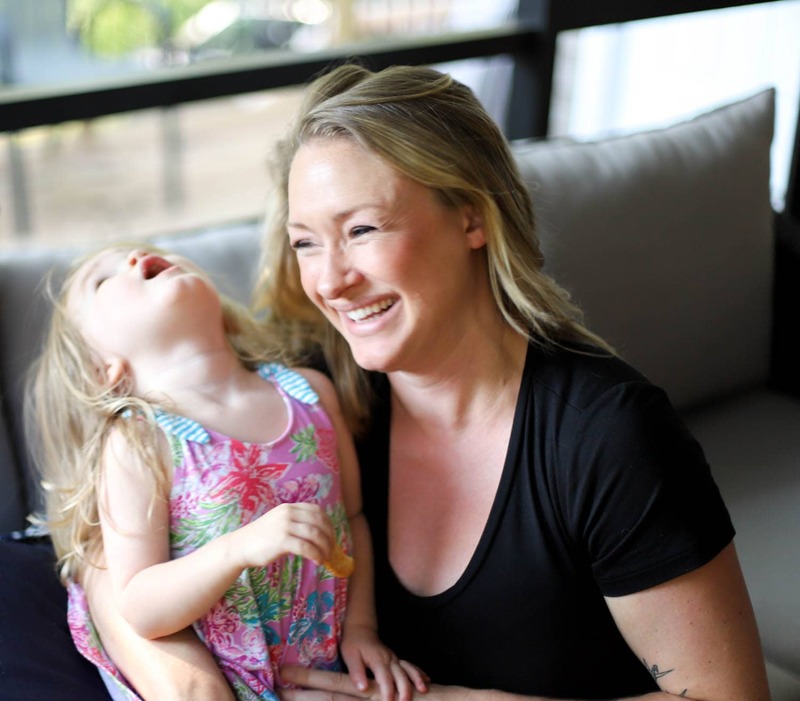 Hope you have a great weekend and I’m looking forward to seeing what you’ve brought this time! Wow, thanks! I’m so flattered.